I never thought I would fall into the Hide Your Gays trope. Yet I’m writing interactive children’s books for a public broadcasting station and when I wanted to create a lesbian school teacher I felt I had to ask permission in my character notes. Can we have a queer relationship? PLEASE?? My boss is openly gay and the other woman I work for is hugely liberal and they responded to my note saying, yes, but the company would never allow it. Children’s books + Public Broadcasting does not equal queer characters. We compromised that the teacher would be in a queer relationship but that we would never see her partner and it would be our little Easter egg. I am ashamed that I felt the need to ask if creating a queer character was okay. These books are small and over half the information I draw up for these character will never see the light of one my stories. I would never think to ask if it’ okay to have her be vegetarian or that she has 2 brothers. But the moment we breach the topic of sexuality, the rules change. Hurdles spring up. I need to justify my decisions and get permission. So long as queer characters are hidden in the recesses of authors’ minds we won’t see changes to queer stereotypes in the media or in real life. Queer children won’t have queer role models and the heteronormative culture we live in will continue to prosper as the culture. It’s a step that I created this queer character, but it’s not a step in the right direction because queerness is still considered subversive and unsuitable for children. I had a conversation today with a Native American friend of mine which illuminated the idea that oppressive constraints of identity are not limited to gender or sexuality. This wasn’t news by any means, but the parallels between our experiences was incredible and definitely worth sharing. He told me how he had wanted to buy me a Batman ribbon for my birthday but that the ribbons were divided up between those for boys and those for girls. He didn’t want to get me the boys’ ribbon because he didn’t want to be rude, but he didn’t want to get me the girls’ ribbon because he knows I “hate pink”. I explained that I didn’t hate pink, but it ticks me off when marketing companies gender products. A thing does not need to be gendered. 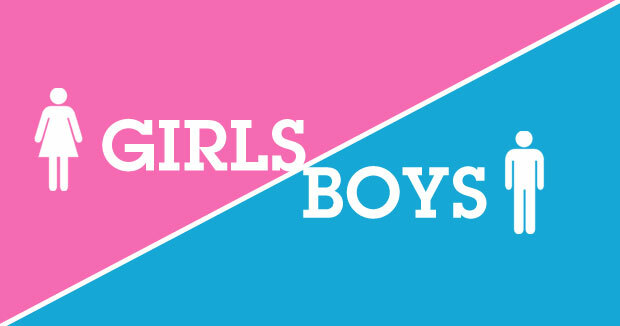 A boy should be able to wear the pink ribbon just as easily as the girl should be able to wear the blue. Items of clothing don’t have gender, so why do we assign the labels of “boys’ clothes” and “girls’ clothes”? I continued that it’s all just a way to enforce heteronormativity and traditional gender roles. He began to talk about how frustrating being put into a box is. He made the point that if he listens to country music, for instance, people will come up to him and say “What are you listening to that for? That music’s not for you.” It’s as if his dark skin and traditional choices in dress and appearance are rigid markers of identity. Native Americans don’t listen to country music, what he is trying to do? He said that when he used to wear his long hair pulled back in a pony tail (instead of the double braids he wears now) people would ask him “why are you trying to look like a Chinese man?” And I know these were not the only stories, though these were the ones he decided to tell. It reminds me of standardized tests: you check a nice little box next to your gender, your race and your religion. You are then wrapped, and shipped off to belong to someone else’s perception of your gender, your race and your religion. You suddenly represent what your identity markers say you should act like, talk like, or enjoy. You either fit the mold and perpetuate stereotypes or become an outlier to critique. Boxes are more than the over used figure of speech. They’re a real concept that damages people of every identity and are always oppressing with preconceived notions of who you should be by someone else’s definition. Gender and sexuality are not the only means of oppression. I swore when I started this blog I would never try to tackle the “gay is not an insult” issue because what could I bring to the subject that hadn’t been done or said? Why would I want to rehash an old argument that doesn’t seem to have much impact? Short and sweet, I’m having a conversation with my brother about superheroes and we get onto the subject of Robin and how his costume originally did not have pants, but was a green leotard. My brother calls him a fag. I tell him gay jokes aren’t funny. And the conversation ends there with no acknowledgement of the legitimacy of my sexuality or the legitimacy of my argument. Phrases like “that’s go gay” are not just harmful to the queer community, but are harmful to the rest of the world as well. Any words that preach heteronormativity as acceptable are devastating on every front. If people are uneducated as to why gay being synonymous with stupid is detrimental to equal rights, fine. Those people can be educated, there are SafeZone trainings and lecturers for that. But what about the people who believe gays on one side, straight people on the other and equal rights is only an issue for those who are not straight white males? The answer is we need to prove them wrong. People from every walk of life, queer, straight, rich, poor, colored and white, need to do more than just be taught to know “that’s so gay” is wrong. It’s not about knowing, it’s about acting. It’s about showing those who promote heteronormativity that equal rights is not just a project of minorities.